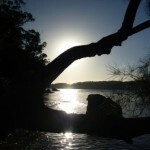 Balmoral Beach has a great little kiosk that does excellent egg and bacon rolls. 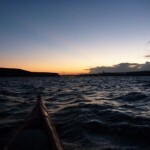 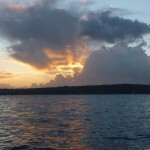 On this particular day I paddled out to watch the sunrise before heading in for breakfast…. 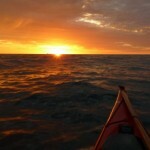 One of the things about paddling that is so addictive is the beauty of an early morning start. 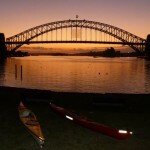 Take this photo by our friends at The Spit, Sydney Harbour Kayaks….